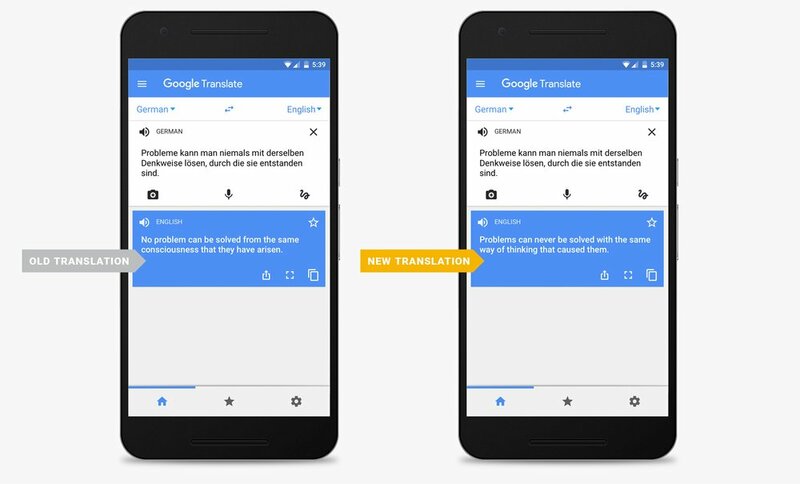 Google announced that is improving its translation service with the use of Neural Machine Translation system for better and high quality results. Available since September, the Neural Machine Translation translates whole sentences at a time, rather than piece by piece, and uses a broader context to identify the most relevant translation. Thanks to the end-to-end learning system build on Neural Machine Translation, translated phrases and articles are smoother and easier to read. The improvements are available for nine important languages to and from English and French, German, Portuguese, Spanish, Chinese, Japanese, Korean and Turkish which cover more than 35% of all Google Translate queries. According to Google, this is just the beginning, because they are planning on expanding and using this system for all 103 languages. Additionally, Google said that its public cloud service, Cloud Platform, is also using the Neural Machine Translation system for all businesses through Google Cloud Translation API.